Nation’s Capital Swim Club is already one of the hottest age group super-clubs in the country, and their coaching staff just added a new power-player in former Machine Aquatics coach Sue Chen. Chen coached with the Rockville-Montgomery Swim Club for two decades, coaching multiple high-level athletes – most recently, American record-holder Jack Conger. Chen left Rockville Montgomery in 2013 to coach with Machine, but now makes the leap to NCAP. That contact coincided with an opening at NCAP when a current coach moved away, said Ugast, leading to Chen’s hiring with the multi-site mega-club. Chen will coaching alongside Bruce Gemmell at the Georgetown Prep site, where world record-holder Katie Ledecky currently trains. 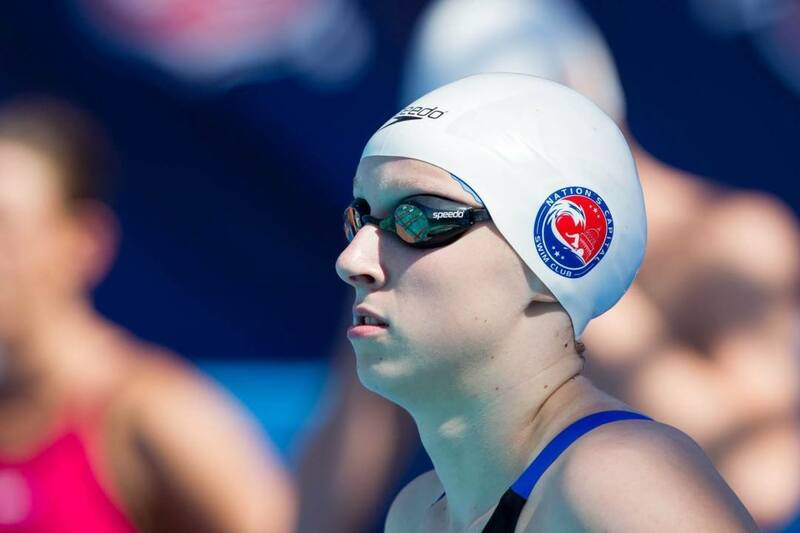 That gives NCAP a pairing of two renowned age group coaches at the same site, something Ugast says should help the club through what will be a busy season for Gemmell and Ledecky. “Over the next 18 months, Bruce will have to travel a lot with Katie and on national teams,” Ugast said. “With Sue on board, we know we still have a coach here who can work with our athletes who are trying to make that next step. Chen will start primarily working with the team’s Silver I group, which consists of high-level 11-14-year-olds competing at the Sectional and Junior National level. Ugast added that her role will continue to evolve and expand as the year goes on. Anybody knows why Sue Chen left Machine club? She was the head coach for a senior group there. She is not head coach material. It’s one thing to coach one swimmer, to manage all those other responsibilities is beyond her capabilities. Her communication skills are terrible. What team did Chloe Sutton swim for in the DMV area? Sutton also swam for Machine Aquatics before she swam for FISH with Ziegler. And prior to that swam for York swim club I believe. To answer the question below, Sutton swam for the FISH very briefly. I do question the statement that the stars from the area typically came from smaller teams. Ziegler did, of course. Conger came from RMSC, which is huge – as big as CUBU/NCAP for many years (not sure what the current numbers are). McLean swam for a smaller team too, SNOW. The rest, over the past quarter century, were from CUBU/NCAP – Barrowman, Santos, Lopez, Henderson, Dolan, and Moses, and now Ledecky, Seliskar, Vissering, Hirschberger, Hu, Jones, etc. Your basic point is correct though: NCAP has never been as overwhelmingly dominant as it is now. Not even close.